Here we have one of the most important learnings from the game of trading: process trumps outcome over the long-term. It is because of this idea that I am making the decision to throw in the metaphorical towel. For all intents and purposes, my trading life is over. It was inevitable. Just as we should consider the alternative outcomes that never materialised in Rocky IV, so we must do the same with our trading. I know that I have died many a death in the alternative histories that never happened but that could have happened had the gods of chance not been so generous with the roll of the die. My capital is pathetically low (an affliction suffered by most traders) and I wanted to build up my equity to the stage where I could enact the right trading processes. I knew it was only then that I could start trading properly. But the paradox is that in order to get there I needed to take outsized risks to build up the capital in the first place. It was a classic catch-22 situation, one where I had to follow the wrong path to get to the right path. I crashed and burned, worked my back up, burned again, and partially recovered. But it is not sustainable. I cannot keep on fighting the Drago. It is not healthy and conducive to practising the virtuous life. My passion for the financial markets remains undimmed but this is my last blog post for the foreseeable future. I hope it serves as a useful record of a solitary trader’s efforts. The journey has been worth taking in every respect and I thank you all. In this section, I compare my trading life with that of the real Caravaggio. Caravaggio the artist lived from 1571 to 1610 and what a life. He was a supremely gifted painter but Caravaggio was not a nice person to be around. Rebellious to the extreme and prone to outbursts of excessive aggressiveness, Caravaggio was always getting in trouble every where he went, trouble that would often included a burst of violence along the way. I don’t model myself on this guy but there are similarities. My antics in the market place were often akin to Caravaggio’s pointless brawls and arguments, usually ending with me the worse for wear and filled with gloomy self-loathing. By the time I started this blog I felt I had a much better control of my emotional trading faculties, but just as Caravaggio was left badly wounded after he fought and killed Ranuccio Tommasoni in a knife-fight in Rome, I too was left with permanent scars from these pointless battles. These tumultuous events were pivotal in both lives. The artist had to flee to Naples as the authorities in Rome had put a price on his head (a pena capitale). In my objective mind I knew my days in the trading arena were numbered, but I tried to run from this reality. Caravaggio the artist continued to paint. I continued to trade. The lives we made for ourselves caught up with us both. The desperate search for redemption is another tie that binds. 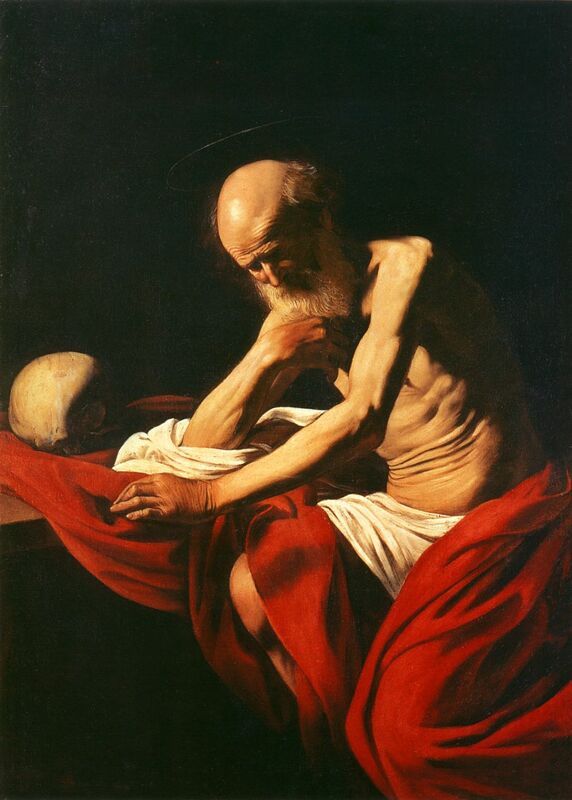 Caravaggio, somehow hearing that Rome was likely considering granting a pardon, made his way back to Chiaia in Spanish Naples, where it his thought his first patroness may have been able to help in influencing the papal authorities in Rome to issue to the pardon on his behalf. Alas, it is here that the artist was so brutally attacked and mutilated by unknown assailants that word spread of his death. In Simon Schama’s ‘The Power of Art’, Schama notes that Caravaggio stayed in Chiaia and kept painting. He says of these paintings they ‘were images of redemptive suffering and, yet again, decapitation, as if he couldn’t get the image of his own pena capitale, his capital sentence, out of his mind.’ My brush with death came this February, and it was a dangerous one. My self-loathing hit a new high, made worse that the fact that my capital sentence (a shortage of capital) was of my own making. I equated redemption with getting back to break-even – this would be my pardon from Rome – but I now realise that it is not here that redemption lies. It lies in being true to oneself and stopping now. 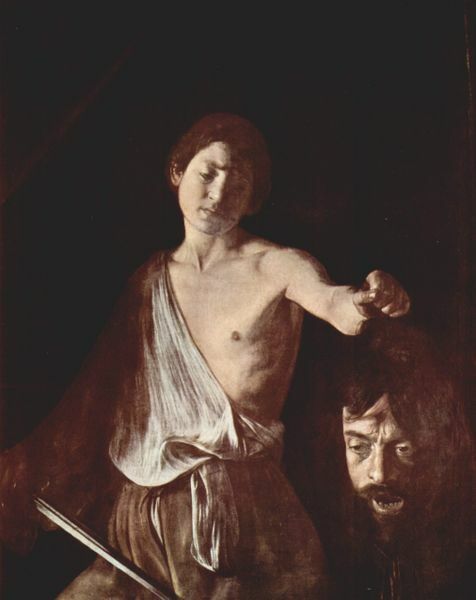 It is during Caravaggio’s time at Spanish Naples that he painted David with the Head of Goliath, pictured above (2). The painting is widely thought to be a form of double-self portrait; at the very least the decapitated head is surely Caravaggio’s. As with almost all art, the exact meaning of the piece is open to interpretation but right now the message that resonates with me is one of a deep understanding of the self, of the idea of redemption by making a clean break of the troublesome Caravaggio of old, and lastly, there is a heap load of self-loathing (see David’s disgust with what he is holding). Schama says of this painting, ‘You see something that had never been painted before and would never be painted again: a portrait of the artist as ogre, his face a grotesque mask of sin’, describing the young slayer of the giant Goliath as the ‘most conflict ridden David ever to be imagined in either marble or paint.’ I can relate. There have been times when I felt like David and the market was Goliath, and other times when the market seemed the true David and I the ogrish Goliath, but the long standing truth is closer to idea of the double self-portrait, that I am both characters, and that today I officially severed the wicked head of my alter-ego (3). There will be no more half measures. Rebirth denied – Caravaggio met with a tragic end. Still seeking redemption but now with a pardon apparently on the way, the artist boarded a boat for Rome, taking with him a collection of paintings he intended to give to people of influence and win favour. However, when the ship pulled in at the port of Paulo he was arrested for unknown reasons. By the time Caravaggio got out of jail the ship had sailed off with his paintings still on board. Some think that Caravaggio actually saw the ship sailing away and that, in a frenzy, he gave chase. What we do know is that Caravaggio made it as far as Port Ercole but there he collapsed on a beach with severe fever. In this pitiful state, he was taken to a local hospital where the troubled artist died. So near and yet so far. As with Caravaggio’s near redemption, my ship has also sailed (4). In the place of the important payload of valuable paintings are valuable trading secrets that could lead to success in the market. These are the product of several years of relatively intense trading and they will stand me in good stead when and if I ever return to trading with a reasonable level of capital. Of course, they are not secrets of the ‘key to riches’ variety, simply crucial lessons that I noted from my experiences trading the markets. My full-time trading career is over. I still plan to trade in extremely small size, seeding my two trading accounts with £500 each, but this is only to maintain an active in the markets until the day I am ready to return, if ever. 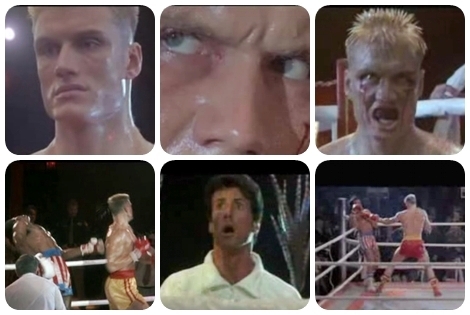 (1) Later Rocky films address this issue, with the writers giving Rocky Balboa permanent brain damage as a direct result of the thunderous blows delivered by Ivan Drago. Rocky also experiences a humbling of his financial status that forces the boxer to give up his extravagant high-life and return to his old neighbourhood. (2) Wikipedia observes the letters H-AS OS inscripted on David’s sword, an abbreviation for the latin phrase ‘Humilitas occidit superbiam’, or ‘humility kills pride’. (3) The non-Caravaggio me lives on here. (4) Given my chosen trading name of Caravaggio, the question of whether I subconsciously expected this fate hangs over me. Fortunately I don’t delve that deep. A useful thought experiment is to ask yourself, ‘If I had to place a single trade, what would it be?’. 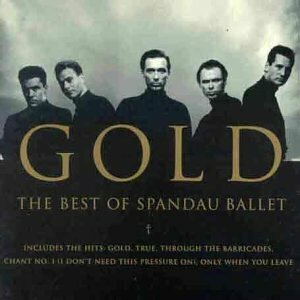 Right now my answer is short gold. Gold is currently trading at $869.55. Broadly speaking, I reckon it will fall to $650 within 12 months, and then to $350-$450 over the next two years. I see it falling at a faster rate but not any slower. My theoretical stop is at $1075. It’s a very long-term trade idea but at least you get paid interest to hold the position. ps – this is my last piece of useless soothsaying (for personal entertainment purposes only). All crisis have involved debt that, in one fashion or another, has become dangerously out of scale in relation to the underlying means of payment. If the Treasury bids for and then buys assets at a price close to the hold-to-maturity price, there will be substantial benefits. I’m starting to think that Paulson and company should pay exactly no more than the market price for the mortgage securities that nobody else wants. To say that the market for these products has completely disappeared isn’t quite right, it’s just that these securities are deemed almost worthless by most market participants. That is the market price. A deep, deep discount. There is still hundred of billions of investment money out there in the form of hedge funds and sovereign wealth funds and if these mortgage related products are a screaming buy then we would see them being bought up. The price reflects the risk. It’s simple. I agree that the assets will probably yield a profit over the long-run but that’s a highly speculative decision that the Treasury has no place making. If the banks are seizing up due to fear because they have these dodgy, almost worthless assets on their books then the Treasury can take them and put them in the Hanky Panky fund, but why muddy the waters further by paying an elevated price and giving the banks billions in form of a disguised subsidy? The fact that paying the market price leaves the banks severely undercapitalised is a separate issue and it should be addressed separately for reasons of transparency and safeguarding the public purse. The government could provide loans-for-equity or seek another solution that addresses the funding problem. If they simply pay over the odds for the mortgage securities, all this additional money would simply be a subsidy transfer from the public to the banks. Not good. Not good one bit. Somebody step up and save capitalism from itself! …. It must be noted that what the government is doing today with (TARP) is much bigger and more complex than RTC was back in 1989. What Mr. Paulson wants to establish is a “good bank, bad bank” much like RTC, but RTC sold off assets from banks that had folded, not assets from the living zombies. The assets sold in the open market were not opaque CDO’s but “real” stuff like buildings, cars, planes and art. This time around, banks are going to be forced to mark down their assets to market values – and the government is about to set up a process to discover what those prices are. Estimating the total losses was far less complicated back then. And it was a regional problem, not a national or even global dilemma. What Paulson is really doing is digging into the 1930s playbook – the Federal Reconstruction Finance Corporation; as well at the Home Owner Loan Corporation (since the Democrats are very likely going to want to modify the mortgages they end up taking into the government’s books to avoid a further uptrend in foreclosures). … The elusive bottom Keep in mind, for all the bottom pickers out there, that after the RTC was established in 1989 it took a year for the stock market to bottom, two years for the economy to bottom, and three years for the housing market to bottom. And recall that after the FSA in Japan was unveiled in 1997 the stock market didn’t bottom for another five years and it’s an open question as whether the economy ever did manage to stage a sustainable recovery. In the Swedish case of the early 1990s, even with an effective government solution, the process of extinguishing the bad debts via government intervention was painful – the equity market incurred a 28-month long bear market that saw Sweden’s major index decline 45% from peak to trough and the economy undergo a 20-month recession that saw domestic demand contract by 2-1/2%. … Once we get through this upcoming period of consolidation and insolvency of the weak banks, the industry is going to come under greater regulatory oversight which will constrain leverage, off-balance sheet activities and future earnings growth. And, of course, we have history to tell us that what led the market down in the bear phase – in this case, financials and consumer cyclicals – never go on to lead in the next bull market.